Recently my good friend Yvonne had to move to an assisted living apartment. It is sad that she had to move away from her home but she just wasn’t able to get around on her own anymore. I am very happy that she found a great place where she has all the physical help she needs. 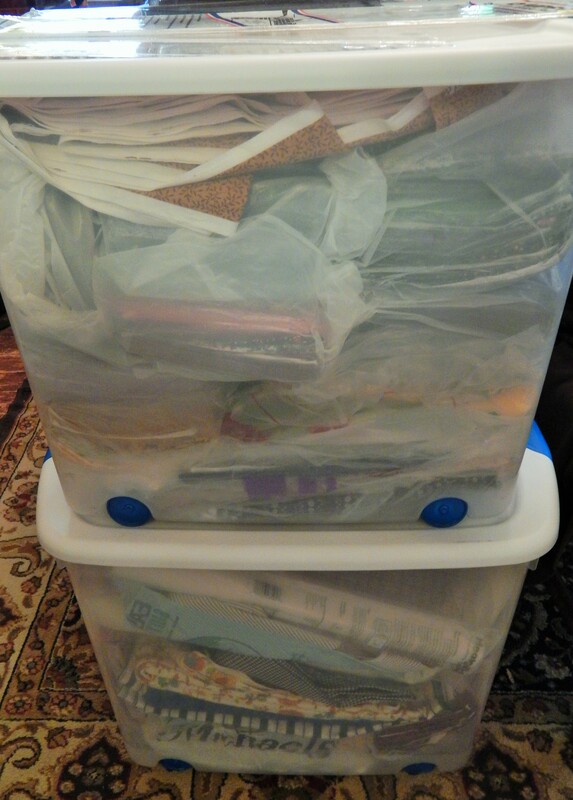 Unfortunately she didn’t have to room to move all of her fabric with her so she gave it to me. 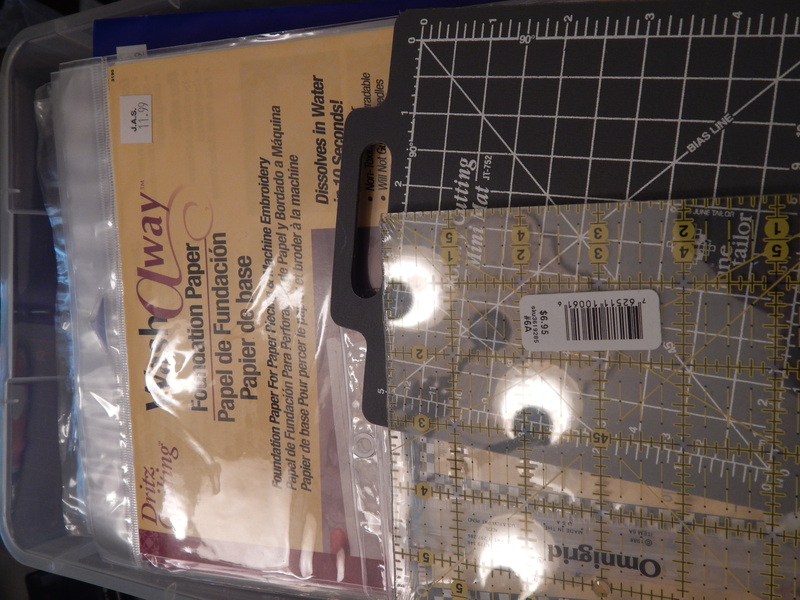 She also gave me some tools, templates, foundation paper etc. that she had never used. I will be making a quilt for her soon. 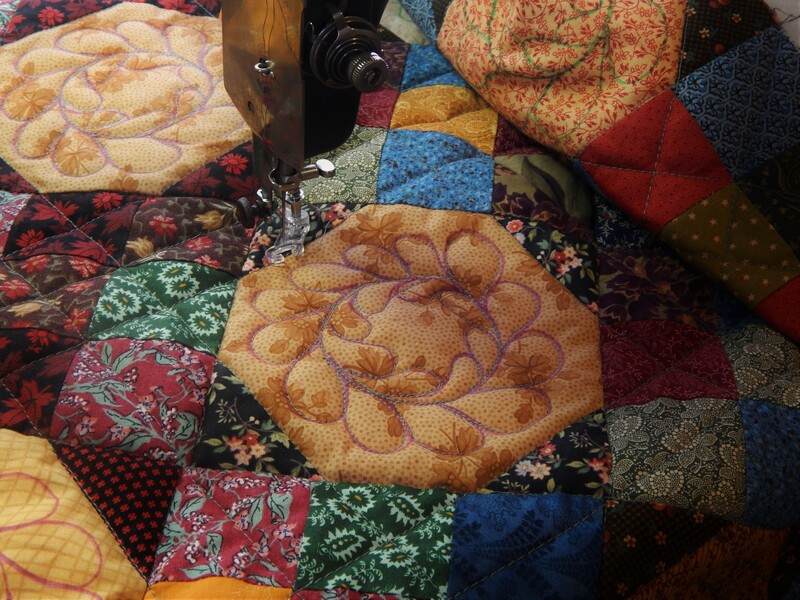 I did get some gardening done over the weekend and a bit more hand quilting done on the orange quilt. I started in the center and quilted a lot of straight lines….when I got to the orange it felt like it needed circles….It didn’t feel like anything too fancy would fit … here it is so far….click pictures to enlarge. 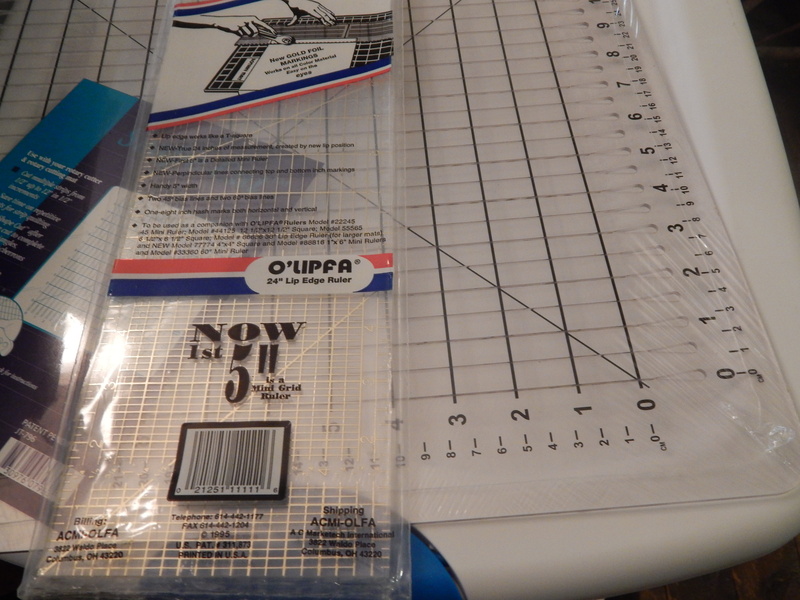 This entry was posted in Quilts and tagged fabric stash, hand quilting, Quilting, Quilts. aHAH! 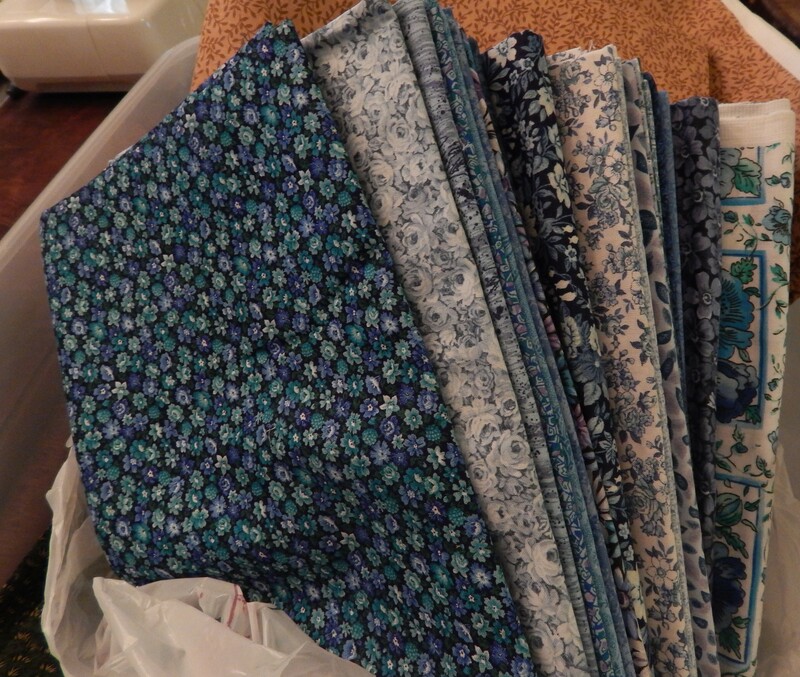 It’s not just the quilt tops that pop themselves in the mail to Lansing — it’s all the quilt pieces in the vicinity that are flocking to Tim! 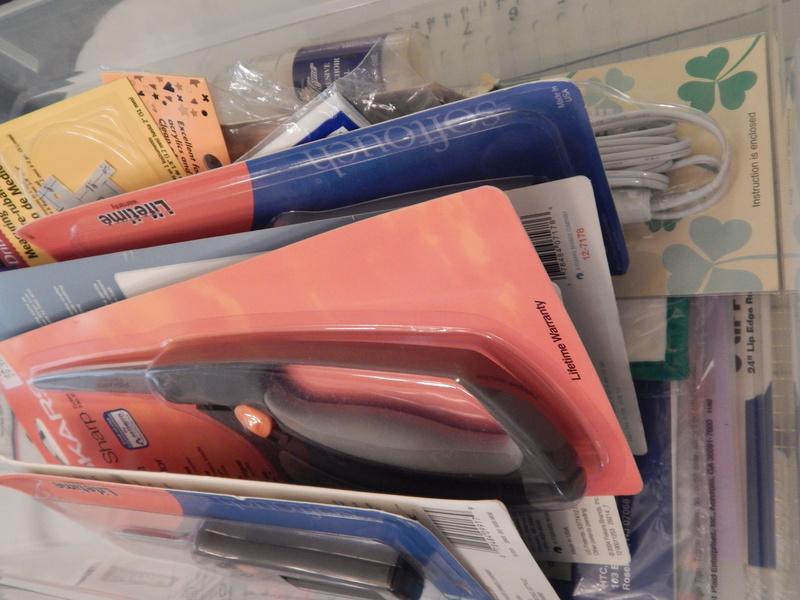 It’s wonderful that when Yvonne needed to make the move, her quilting supplies had a loving home to move to as well. I’m sure she can take pleasure in supporting your art and that she will benefit from her own generosity when you make her a wonderful quilt. Wow! What a generous friend you have! I can’t wait to see what you create for her and yourself from all the goodies! And the orange one….I think maybe you could quilt it in the dark! Lol! 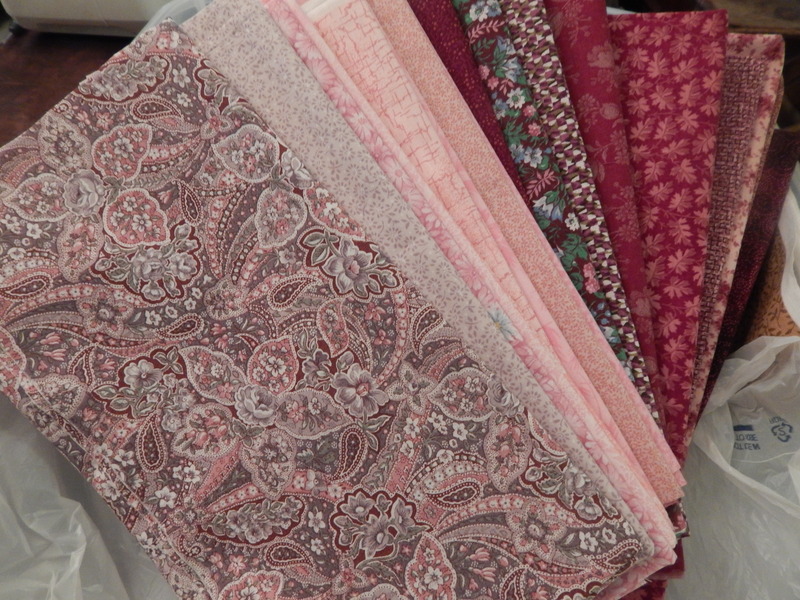 Gosh, what a bonanza of fabrics to land in your lap! Although the selection is more traditional than my taste, there are some beauties in there. All the best to Yvonne in her new home. 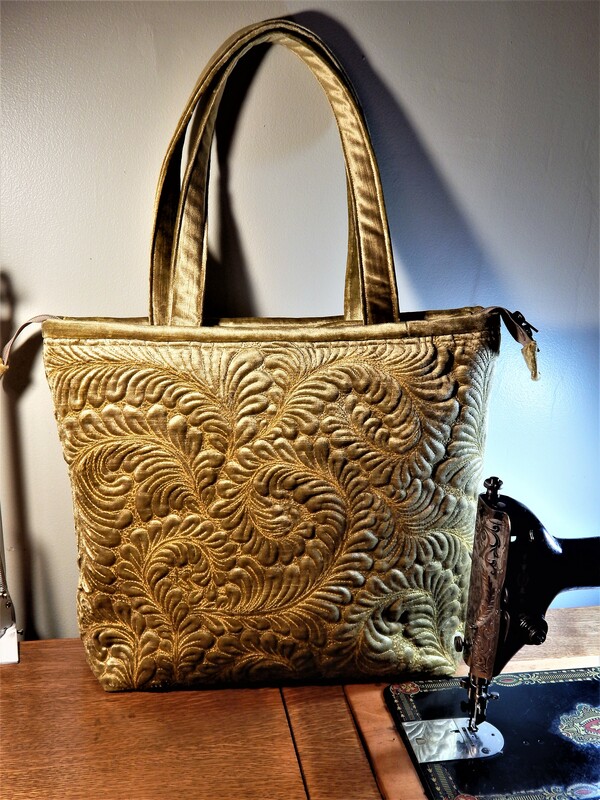 Its great that her fabric and tools etc have gone to someone who will make great use of them. Yvonne will love seeing what you do with her stash, I’m sure! And so will we! I have a few things to finish up before I get going on her project, but it wont be long before I have something to post…. I have to agree with the post above mine that Yvonne will love to see what you do with her fabrics. I love all your quilts but I have to admit that I was on the fence about your Fruit Salad quilt. That was until you quilted the circles in the orange areas. Brilliant! 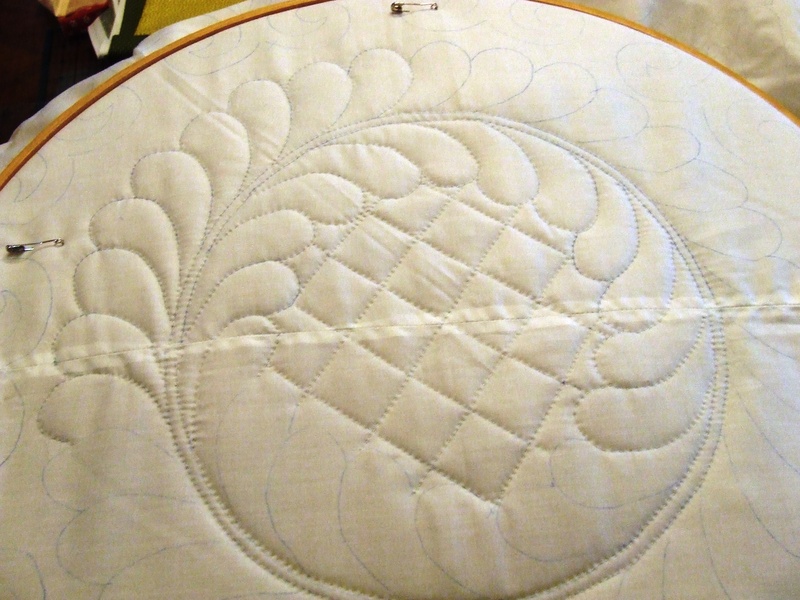 That circle quilting in the orange makes it shine. Of course, you as the designer, already had that in your minds eye as to what you were going to do. It just takes awhile for the rest of us to catch up with you. Thanks for posting. I love to read your blog. Fantastic! I have just one question, when do you sleep? 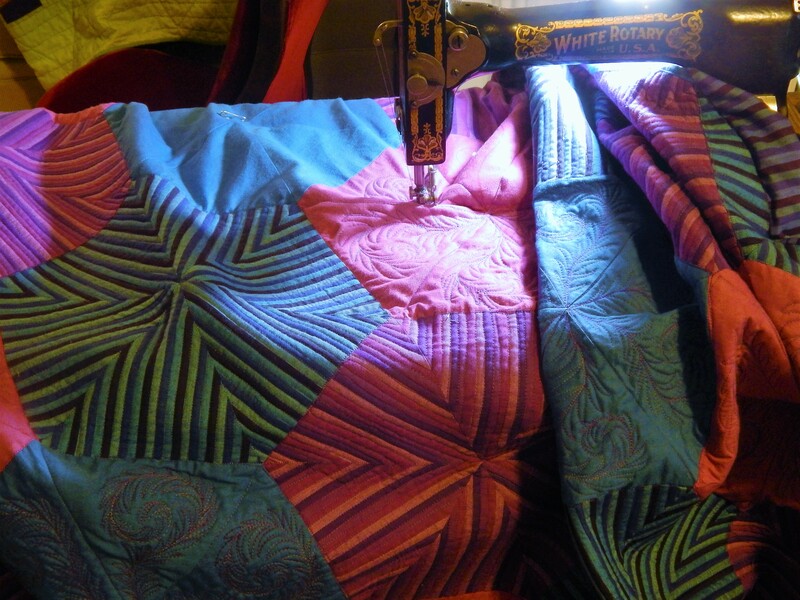 People say I get a lot of hand quilting done despite the fact that I work full time, but you are amazing! I love the fact that you rescue tops and continue the life of the maker. fortunately she really likes it….she has lots of people to visit with every day and she really enjoys going down to the dining room for meals and activities…. that is great – she sounds very different than my mother who is an introvert and depends on her family for visit – she doesn’t make friends and doesn’t want to do any of the activities – she goes to the dining room only because she can of course no longer cook her own meals.